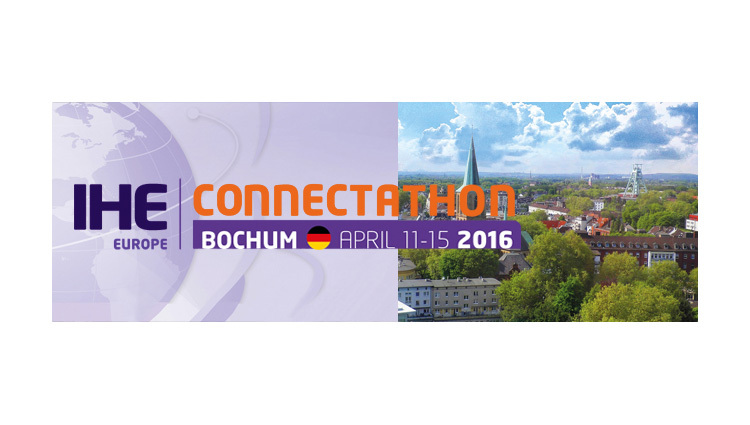 At the recently concluded 16th IHE Connectathon 2016 held in Bochum, Germany (April 11-16), Better Platform™ (www.marand.com) was validated for five IHE Integration profiles. The integration validation of Better Platform™ now covers profiles in the IT Infrastructure domain – CT, ATNA, XDS.b, XCA and XUA. This effectively enables the platform to act as an IHE validated document registry (XDS.Reg), document repository (XDS.Repo), providing audit repository and logs (ATNA), consistent time functionality (CT), cross-enterprise user assertion (XUA) and cross-community access and peer-to-peer querying and document retrieval (IHE XCA). At the same time, the platform stores data in openEHR structured data format, serving as an advanced clinical data repository with future-proof data analytics and information-flow opportunities. “The IHE validated Better Platform™ is the first product on the market to combine IHE – a standardized document exchange with openEHR – a platform for managing structured clinical data. This synergistic approach has been proven in successful large scale eHealth projects at the regional (Moscow City), and national level (Slovenia), positioning Marand at the forefront of innovation in the healthcare interoperability space. It opens up completely new integration and solution development capability for eHealth providers, healthcare providers and vendors – they can use existing infrastructure, but also prepare for the next generation healthcare applications, where data is easier to understand, use and query, thus enabling better clinical information and better healthcare for patients and consumers,” explained Borut Fabjan, senior solution architect at Better by Marand. Better by Marand, a company from Slovenia specialising in structured clinical data platforms has successfully participated in four IHE Connectathons.